One of the most frequently used home additions is the garage. It rolls convenience, safety, security, and storage all into one. As a key component to your next custom remodeling project, a new garage or simply a new garage door can dramatically alter your Bay Area home’s appearance. And newer garage doors may provide improved function. If thinking about enhancing the curb appeal of your home, you may consider these options available for today’s garage doors. Wood is a traditional garage door material that provides a more natural appearance. It blends in particularly well with brick, stone, and wood homes. Depending on the design, it can be elegant or rustic. Wood is a popular choice for carriage house designs and often comes with windows in the upper portion of the doors. 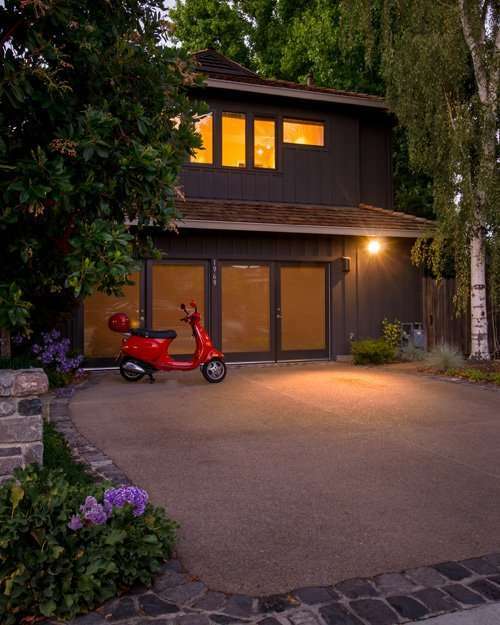 Metal garage doors for Bay Area homes are traditionally made of steel and aluminum. Traditional steel doors offer higher durability and an added sense of security. A more modern steel door, often called a sandwich construction, is now available with varying degrees of insulation to help ward off energy loss. Aluminum provides a sleeker look and is a much lighter weight material, although still durable. Both materials can be painted as needed to coordinate with the rest of your home’s exterior. If you like the look of wood but prefer a less weather sensitive material that is easier to maintain, fiberglass may be the answer for you. Fiberglass doors are made in a broad variety of styles, including faux wood finishes available in different colors and grains. Many attached garages are incorporated into the front of the house, while other homes have detached garages that sometimes function as temporary workshops for hobbyists. 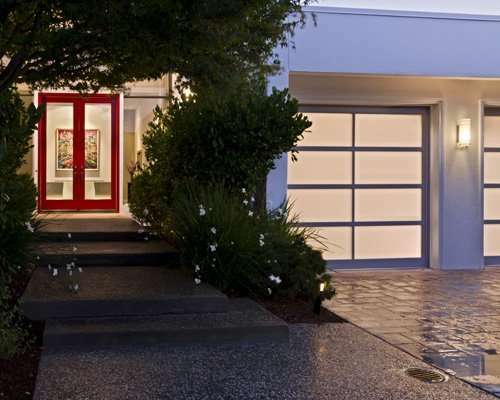 The need for glass panels on a garage door can be dictated by the desire to have the door coordinate with the appearance of the home or to increase the natural light within the space. 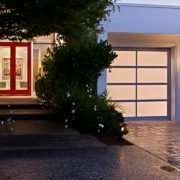 Garage doors with large glass panels are also available and marry well with homes that have a high incidence of glazing. Adding glass panels to a garage door can balances the exterior appearance and provide a source of natural light to the interior. Classic garage doors are typically laid out in blocks and rows of rectangles. As the door rises, they roll up and disappear into the garage ceiling. Carriage house doors hearken back to the horse-drawn carriage era, and typically open outward from the center. Choose your carriage house hardware and windows carefully to create a plain or more ornate look. Add lift handles and knockers for an even greater authentic appearance. If you’re not sure which look will best enhance your curb appeal, talk it over with our design and build team from Harrell Remodeling. Winter is finally coming to a close. With warmer days ahead, spring is an ideal time to give your home some much-needed TLC after months of cold, wet weather. One of the best things a homeowner can do is to do a visual inspection both inside and outside their home. Look for mold or mildew build-up on the exterior as well as inside your home, especially after a long rainy winter. Keep an eye open for condensation inside windows. Look for peeling paint, bent or damaged gutters, or any other signs that indicate needed repair. Spring is a great time to do some basic maintenance on your HVAC system. Swapping out your furnace filters is quick, easy, and inexpensive. It keeps your system operating efficiently and is one less thing you’ll have to worry about come next winter. If you haven’t had your furnace serviced recently, schedule a maintenance visit now rather than waiting until you need the heat and discover your system is not functioning properly. Just like with your furnace, your air conditioning unit needs a tune-up every few years and it is best to get this done in the off-season. That way, when the heat hits, you’re AC will be ready to cool. Your roof, gutters, and chimney also need some TLC. Blow leaves off your roof, especially in the valleys where they tend to pile up. If not removed, they build up and eventually cause damage to your roof. Now is also a great time to have your roof inspected as well as have repairs completed. 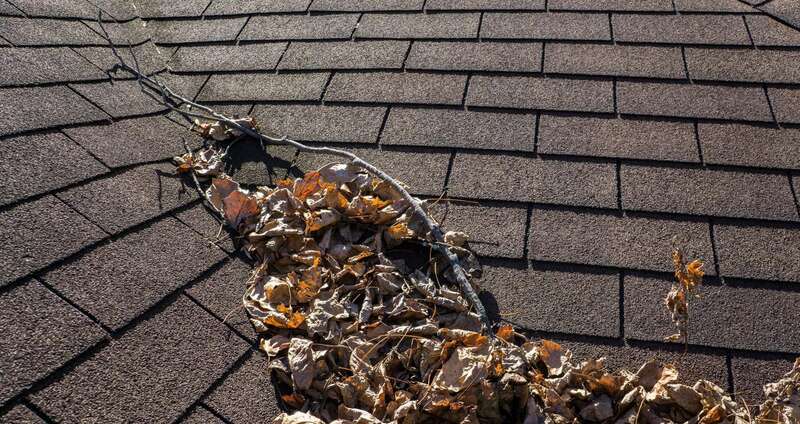 Remove leaves and other debris from gutters and have any damaged sections or downspouts replaced or repaired. If you haven’t had one in awhile, an inspection will ensure your chimney is structurally sound while a professional cleaning keeps dangerous debris from accumulating and possibly causing a fire. If you discover large cracks in the stucco on your home, fill with a flexible caulking or apply a stucco patch. This reduces the chance of moisture seeping behind and into the walls and causing dry rot. Turn on your sprinklers and redirect them if any are hitting the exterior of your home. Over time, having water hitting the outside of your house can can cause dry rot. 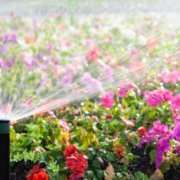 Replace missing or damaged sprinkler heads and check for water leaks. If your home is on septic, it typically needs to be cleaned out every four or five years. And if you don’t already, purchase some septic treatment products and begin using this monthly to break down grease, fats, and oils. Open and close each of your windows to make sure they operate properly. If you have double paned windows, look for cloudiness between the panes, which indicates window failure. Look closely at caulking on both windows and doors and reapply if it is cracked or peeling. If the paint is fading on the exterior of your windows, take time to repaint. Check all exterior door locks and make sure they operate smoothly. If you have trouble getting the key in the lock or if you have to coax the lock itself to open, call a locksmith and get them to tune up your affected locks and possibly cut new keys. Check all of the batteries in your smoke and carbon monoxide (CO) detectors. Make sure you have at least one CO detector on each level of your home. If you live in an all-electric home, carbon monoxide detectors are NOT required. If you have smoke detectors that are only battery operated, California law requires they include a 10-year battery that cannot be replaced or removed. Be sure to upgrade to these units if necessary. Locate your water main, remove the cover and look inside for leaks or water build up. Contact your local water company if you discover any issues. Check caulking around sinks as well as in showers where the tile meets the shower pan and around bathtubs where the wall tile connects with the tub. If the caulk is cracked, peeling, or pulling away, its time to reapply. Check all drains for hair build up and remove using a tool made just for this fun job. This will reduce odor as well as allow water to drain properly. Remove all of the aerators on your faucets, remove any debris and sediment, and reattach. Turn on and off water valves for each sink and toilet to make sure they haven’t seized up and are operating as intended. Look under all sinks for leaks, check inside toilet tanks to ensure all parts appear in working order. During winter, lighting is used much more than in spring and summer so bulbs often burn out. In the evening, go outside and inspect your outdoor lighting for bulbs that are broken or burned out. Do the same inside your home and replace all nonfunctioning bulbs. Open and close your garage door a few times to confirm it operates smoothly. Check all of the bolts, especially those responsible for attaching the door to the hinge and spring hardware, and tighten if loose. If it’s been awhile since you had your door serviced, it’s probably time to do so. Inspect all hoses for your dishwasher (located under the sink) and clothes washer for cracks or damage that could result in leaks. Clean the vents in your dryer, both those inside as well as behind the appliance. Check the seals on your fridge for cracks and vacuum behind your refrigerator to remove dust build-up from the back of the unit, which can reduce the efficiency as well as the life of your appliance. Flip each switch on your electrical panel. If any circuits don’t stay in their “on” position, this indicates a potential issue and it would be worth having your panel inspected. GFCI outlets are typically placed in the kitchen and bath. Test each by pressing the button to reset the outlet. If any fail to work or reset properly, it’s time to replace them. “Many older homes don’t have GFCI outlets in bathrooms and kitchens. These are important safety features and should be installed,” says Kai. Maintaining your home can seem like an overwhelming task but the team at Harrell Remodeling is here to help. Our experts identify potential issues and point out areas that require maintenance. This proactive approach allows homeowners to actively participate in the maintenance and repair plan as well as address concerns before they become costly repairs. Interested scheduling a spring maintenance inspection? Contact Harrell Remodeling to speak with one of our team members. Kai Jensen is a native of San Jose. His father was employed in the design field, so Kai grew up immersed in the design and construction industry. 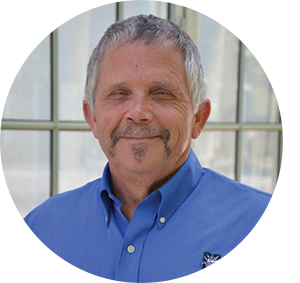 He has worked in construction for over 40 years and has vast experience in both commercial and residential projects. A skilled craftsman, Kai spent part of his career building custom kitchen and bath cabinets. Kai obtained his licensed general contractor in 1993 and at one time ran his own construction business doing all phases of work from foundation to finish before joining Harrell Remodeling in August 2001 as a Lead Carpenter. Kai is now one of Harrell’s Senior Project Managers and is a Certified Remodeling Project Manager. At Harrell Remodeling, our slogan is one we take to heart: We never forget it’s your home. Harrell Site Manager, Mario Rivera, takes these six words very seriously each time he begins a new project. Installing and instituting protective measures is mutually beneficial. It safeguards the health and safety of both the homeowners and Harrell workers as well as defends against potential damage during a remodel. The on-site Harrell Team focuses on a number of areas within a home, each of which are dependent upon the project’s duration, scope, and exact location on the job site. When a home remodeling project exceeds a month, more substantial measures are employed. This includes placing a paper (not plastic) under-layer barrier on top of the carpet to protect from moisture and possible mold build-up. This is followed by thick cardboard and thin wood or Masonite on top. This method offers multiple levels of protection that will withstand the daily rigors of a home remodel, including ladders scaffolding, and rough materials. For carpeted stairs, a sturdy plastic non-slip membrane is applied. If the use of carpet tape is not possible, we will apply a product called Eco-Runner. This material is taped securely to the railing and baseboard. The angular nature of stairs requires the Eco-Runner material to be inspected frequently to ensure it remains intact, secured, and at peak protective performance. Railings and balusters also are swathed in a protective plastic under layer and adhered with a foam-padded tape. If necessary, thick rolls of cardboard can be shaped to protect the balusters to guard against heavier traffic. Eco-Runner is a fantastic material for each of these types of flooring for short-term projects. 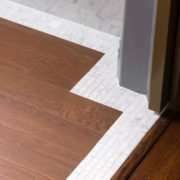 For remodels over 30 days, durable plywood and cardboard are layered on top of the plastic runner to ward off scratches, dings, or other damage to the flooring beneath. 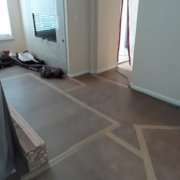 “Most flooring is very unique and if harmed, is often challenging to repair. Applying a variety of materials to guard against damage is well worth it,” explains Mario. Though drywall is easier to repair than hardwood or tile should it get damaged, that doesn’t deter Harrell Remodeling from employing cautionary measures. Often used as a primary interior artery for workers and materials, hallways are wrapped floor to ceiling in heavy-duty plastic using a zip wall dust barrier system, which minimizes denting as well as keeps dust from spreading. Zippered doorways allow access into closets, bed and bathrooms. To further inhibit damage to walls, 4 foot by 8 foot spans of thick cardboard called thermo-ply are leaned against high traffic areas, especially at corners. Protecting door jams, especially in high traffic areas, is a necessity and there are materials made exclusively for this purpose. The Harrell Team uses a plastic and cardboard C-shaped material that fits perfectly over the trim, offering instant defense against dings. Cold air exchanges can’t be covered, as they are necessary for your furnace to run properly so at the end of each project, air filters are replaced. Floor and wall heating grills in active work areas are covered to keep dust at bay. For lighting that isn’t a heat source, such as LEDs, plastic can be applied. Since dust can impede the functionality of smoke detectors, they are either covered or replaced once the project is completed. Mario also lets homeowners know they should remove artwork, bookshelves, or other items on any walls that may be impacted by vibrations caused by work in progress on either side. When working on the exterior of a home, Harrell Remodeling subscribes to the same mantra of treating each of our client’s home with courtesy and respect. Though landscaping is more challenging to protect completely, the goal is to minimize the impact to lawns, bushes, and trees. Trees are surrounded with a barrier of 2X4s, temporary fencing, and caution tape while bushes will be pulled away from exterior walls during work. Lawns can be protected with plywood, which is often raised up on bricks or concrete pavers to allow airflow. Since every driveway is unique, the onsite Harrell Team takes into account every aspect of the project that could result in damage over the duration of the job. Driveways can be fashioned from numerous materials including pavers, asphalt, stamped or brushed concrete. If the drive will be a high-traffic thoroughfare, including moving heavy or sharp materials to the actual project location, or if there is a possibility of spills, the location will be protected with a heavy-duty plastic topped by a layer of plywood or OSB sheets, secured together with metal clips. If the drive will only be used as a walkway, a patterned orange liner is applied is the path of travel. The pattern designates the area of defined usage, ensuring cleanliness while avoiding damage. Since most residential driveways are not able to withstand the weight of large vehicles or material loads, the on-site team will have any heavy materials delivered to the jobsite dropped off curbside. This avoids potentially cracking the driveway concrete slab, which can result in an expensive repair. Undergoing a home remodel is dirty and dusty, adding extra particulate matter into the air. Though we do our best to cut wood, tile, and other materials outside, this isn’t always possible. To mitigate this, all tools are connected to a vacuum, which automatically switches on and off with the tool to collect dust. Hoods are used on saws to keep sawdust contained, and we always use HEPA filters to clean the air. Air scrubbers absorb and minimizing the spread of fine dust and particles, protecting both the homeowners and workers. At the end of each workday, Mario shares that each onsite team sweeps, vacuums, and removes debris. Openings in walls and floors are covered, tools and materials are set aside and covered with plastic, leaving the work area as tidy and safe as possible. “Protection is very important to me. I do it out of appreciation, safety, and respect of the homeowners as well as for the safety and health of my team and myself,” Mario says. Mario Rivera began working in the construction trade in 2002, beginning with basic framing. 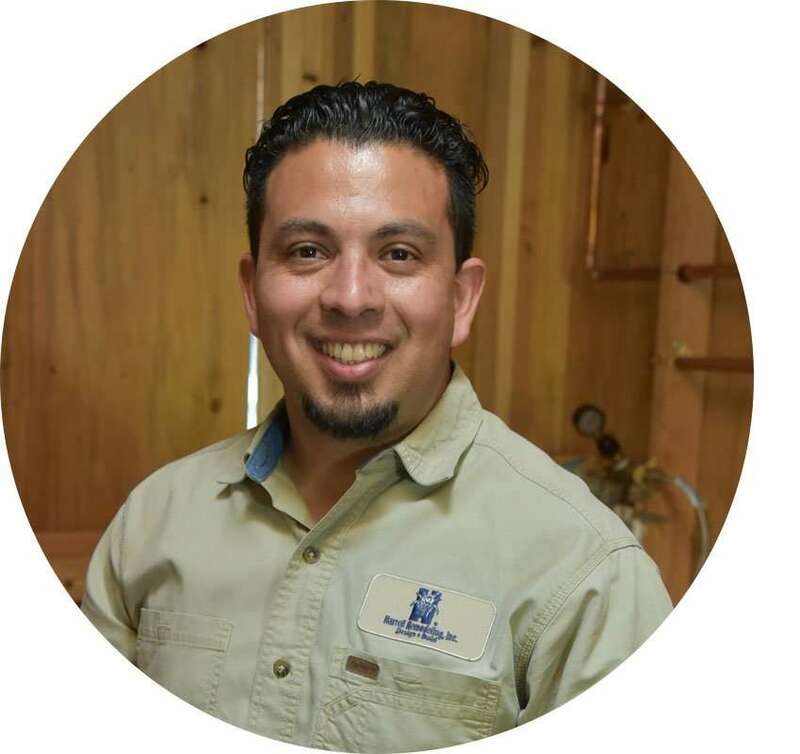 Fascinated by tools and building from a very young age, Mario was hired in 2014 as a carpenter for Harrell Remodeling, working his way to site manager thanks to his diligence, passion, and attention to detail. He firmly believes that the manner in which Harrell Remodeling treats their clients’ homes is just one way in which the company rises above the rest. “When you’re choosing a contractor, it is really important to find out how they will safeguard your home and your safety,” Mario states. Are you dreaming of a remodel? Schedule a consultation with one of our amazing Designers to discover how Harrell Remodeling can transform your home. Water is one of the most insidious sources of damage to a home. It has a way of sneaking and seeping into the smallest of places, often without the homeowner being aware until the damage it has caused is readily apparent. When building materials are used for the wrong purpose, or when the choice of materials isn’t suitable for the job at hand, the result can be considered failure by design. When choosing materials, it is critical to make sure to use the right ones for the job. 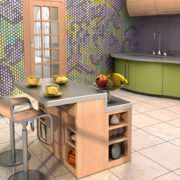 For example, there are tiles for use on walls and tiles specifically made for flooring. Wall tile doesn’t have the same hardness and durability as floor tile and, if used in that capacity, it could fracture and create an inlet for water. Another misuse of materials is choosing wood that is not naturally resistant or treated to resist moisture and decay, and using it on decks and outdoor structures that are exposed to the elements. Avoiding vital waterproofing steps like installing flashing around chimneys and skylights, or ensuring exterior surfaces slope away from your foundation are guaranteed ways to welcome unwanted water into your home. These and other “design flaws” are veritable invitations for water to come and stay awhile. There is a right and a wrong way to install most everything. A window is designed with an “inside” and an “outside” but, believe it or not, the Harrell Team has encountered a few that were literally inside-out! This extreme example of improper installation allows water to trickle into the walls, affecting the insulation, framing, and drywall. 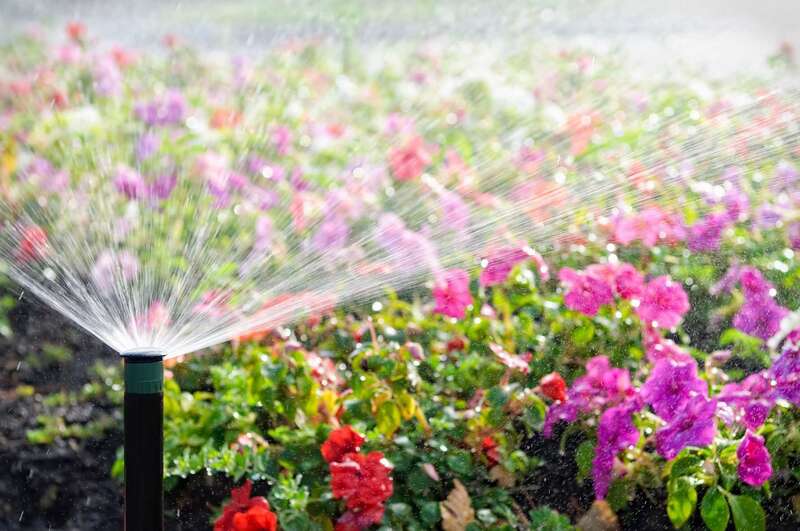 Exterior sprinklers directed toward your house, roofing materials and flashing improperly installed from the top down instead of bottom up, plumbing that isn’t suitably connected—all of these contribute to water intrusion in a home. Every home, no matter how new or how old, needs to be maintained. Normal “wear and tear” along with varied exposure to the elements invites opportunities for moisture issues. By putting off necessary upkeep, especially those that are water-related, homeowners are setting themselves up for even more costly repairs down the road. For example, when paint begins to crack, flake, or peel, water can creep behind the protective barrier it provides and be absorbed into your home’s siding or other porous materials. When the underlying materials are damp, the damage to surrounding areas will accelerate, resulting in more extensive repairs. Properly maintaining you grout is another vital step to keeping moisture at bay. Unsealed grout, or grout that cracks and is not repaired can further deteriorate, causing water to seep through and behind the tile, causing damage to drywall, cabinetry, flooring, and more. The good news is there are steps homeowners can take to waterproof their residences. The number one guideline is to stay on top of maintaining your home, addressing issues before they become problems. Ciro also suggests having a licensed roofing company inspect your roof during the warmer months and preemptively fix any issues they discover, such as tree branches in contact with the roof, rusting flashing, or loose singles. If you have a basement or crawl space, grab a flashlight and go hunting for standing water or areas that appear damp. Caulking is another material that, although designed to be flexible, needs to be reapplied on a continual basis to ensure it continues to repel water. The team at Harrell Remodeling is here to help waterproof and maintain your home. By conducting annual walk-throughs, our experts identify potential issues and point out areas that require maintenance. This proactive approach appeals to many homeowners as it allows them to actively participate in the maintenance and repair plan as well as address concerns before they become costly repairs. Interested in learning more about how to waterproof your home? Contact Harrell Remodeling to speak with one of our team members or to schedule your HOME WATERPROOFING MAINTENANCE WALK-THROUGH. Gone are the days of the standard built-in masonry wood-burning fireplaces. 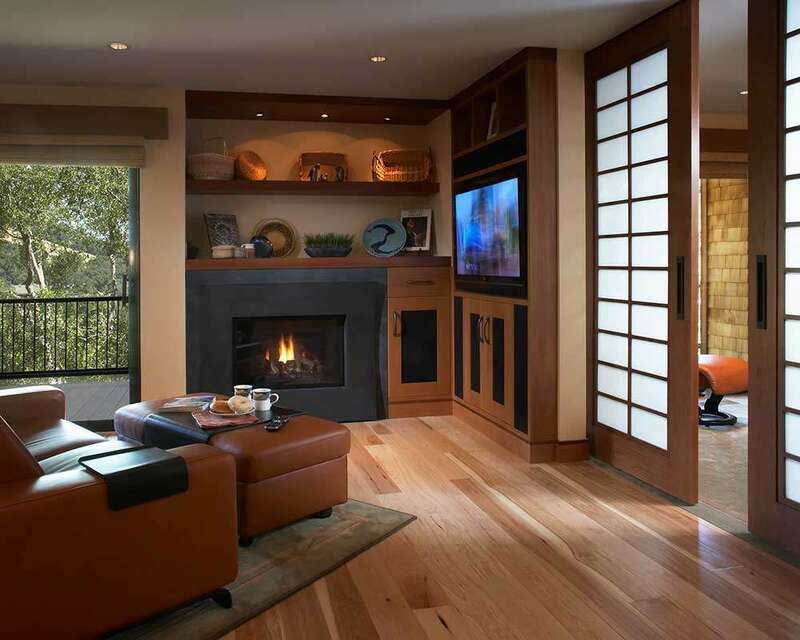 Today’s fireplaces offer a tantalizing trifecta of ambiance, customization, and technology. Sleek lines and multi-media options abound, all of which offer homeowners endless ways to add the inviting warmth of a fire into their homes. The linear fireplace is by far a homeowner favorite and a hot trend right now. Built into the wall, they don’t take up any square footage and they can easily be incorporated into rooms of any size. Linear units can be as small as 36 inches in length to an impressive 10 feet long (varying by manufacturer) with ribbon of flame spanning the entire width. Linear fireplaces come in a myriad of styles including tunnel, stand alone, corner and front facing units as well as space creators, used to separate living spaces while retaining an open feel. These horizontal pieces can be complemented with surround finishes including bronze, black, graphite, stainless steel, and even hammered copper. Gas inserts are another popular option to convert and modernize existing brick or stone fireplaces without undergoing significant renovation. Though the general size and shape of inserts are fairly standard, there are a multitude of styles from classic to contemporary. A fireplace insert can transform your energy-inefficient, expensive, and high-maintenance wood-burning unit into a beautiful, energy-efficient fireplace that creates instant ambiance and warmth. Something to take note of for inserts is that they have a thicker frame around the outside of the units. Fire and technology seem like two unlikely bedfellows but today’s models are packed with techy touches. One of the most sought-after is LED lighting, which can be changed to fit décor or to achieve a particular ambiance. With the touch of a button, homeowners can choose from a rainbow of hues. Once upon a time, brick was the material of choice for fireplaces, especially the back panels. Choices were limited to a simple straight brick pattern or a herringbone design. In addition to the traditional designs, modern fireplaces now offer a black reflective glass that enhances the beauty and luminescence of the flames. The clean, sleek lines of these reflective panels provide a contemporary look that can be a pleasing aesthetic addition. Another medium that allows fireplace personalization is by choosing a customized log set. R.H. Peterson Company’s Realfyre offers an extensive line of incredibly realistic ceramic log inserts. The hand painted log sets are available in a wide variety of wood types such as woodland oak, western campfire logs, and charred, rugged split oak to name a very few. For those desiring a more modern look, Realfyre also offers a glass pan burner system that are ideal for island, see-thru, and peninsula fireplaces. Instead of a log set, flames erupt from glass gems or nuggets that cover the base of the firepan. Different shapes, colors, and reflectivity of the glass can be chosen to fit the décor of a space. Heat N Glo is another highly reputable fireplace manufacturer and they also offer a selection of realistic log sets as well as a modern ceramic fiber stone base for some of their models. Another technological advancement is the creation of a zero combustible zone. This transfers heat through other venting areas and away from sensitive electronics. Ortal fireplaces offer cool wall technology, allowing wall-mounted televisions to be placed within inches of the fireplace at optimal viewing level. With televisions being a primary entertainment source for most and the ever-increasing popularity of placing TVs above fireplaces, this eliminates the need to mount your TV at uncomfortable neck-craning levels. 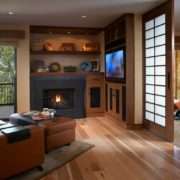 No matter the type of fireplace you choose, it is required by code to have a screen for safety reasons. Depending upon the manufacturer, some screens are visible while others are more of a mesh that is designed to protect but not be seen. With all of the media, finishes, shapes and sizes, there is a fireplace that fits your personality, décor, and lifestyle. The options are endless so let your imagination run hot! Sara Jorgensen is a California state Certified Interior Designer (CID) and a Certified Green Building Professional (CGBP) with a BA in Fine Arts in Interior Design. A Harrell designer since 2005, she has the unique ability to discover and artfully execute her clients’ design desires along with their functional needs. Since 1985, Harrell Remodeling has been designing and remodeling distinctive home all around the Bay Area. A design-build firm with locations in Palo Alto and Los Gatos, we invite you to contact us to find out more about how we work, talk to members of our team, and discover how we can make your remodeling dreams a reality! Skylights and sun tunnels are two innovative ways to bring natural light into the interior rooms of your home. Skylights are windows or see-through panels located on the roof. In rooms with angled ceilings that match the angle of the roof, the skylight is mounted on the roof and light travels directly into the room. 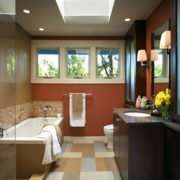 In rooms with flat ceilings that do not match the angle of the roof above, it is fairly typical to have a light well made of drywall built around the roof mounted skylight that connects the skylight to the room’s flat ceiling. This light well brings the light into the room. 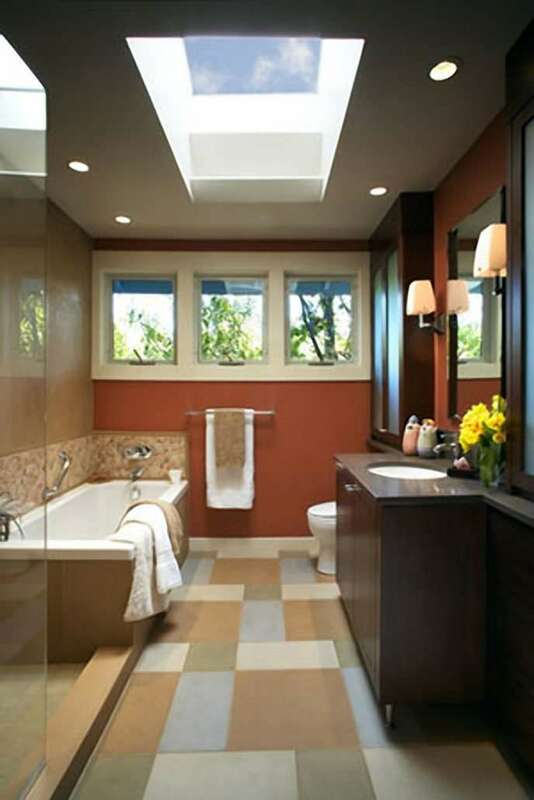 These applications work when a skylight can be placed directly above a room. Sun tunnels are often used when there are obstructions in the attic that prevent the installation of a skylight. Sun tunnels are similar to skylights, but rather than a light well, sun tunnels have a tube with a reflective interior lining that captures natural light from a roof mounted dome and channels the light indirectly into the room. This tunnel often travels at a slight angle through attic space. Sun tunnels can be installed in kitchens, living rooms, hallways and other areas of the home that may not have ample natural lighting. These ‘windows in the ceiling’ can increase natural lighting and make a room feel brighter and larger. When properly installed as part of a Bay Area home remodeling project, skylights can help homeowners cut costs on an electricity bill while enhancing the home’s level of sophistication. Skylights are available in a wide array of shapes and sizes with UV protected glass in a variety of tints. Skylights can be fixed, or operable. Operable skylights increase the fresh air flow and are often available with easy to use remote controls. Starting in sizes roughly a foot across and available in both round and square shapes, a sun tunnel diffuser panel sits on the ceiling level of a room. From there the connected sun tunnel extends through and across attic space to a roof mounted clear dome. The interior effect in the room’s ceiling appears similar to recessed lighting. Sun tunnels can be integrated into roof systems with slopes between 15 and 60 degrees. Choose a diffuser for the sun tunnel that limits both glare and bright spots. Homeowners interested in improving their energy efficiency will like the green impact of skylights and sun tunnels. Skylights and sun tunnels bring the illuminating properties of daylight into dark rooms. Federal tax credits of up to $200 are available for certain products through the federal government’s Energy Star program. They must be purchased and installed by Tuesday, Dec. 31, 2013. The tax credit covers replacement windows, including a variety of skylights, as well as new ones put in as part of a home addition. Wouldn’t you like to liven up your room and show off your personal style? Wall treatments can give you the opportunity to add color, texture, depth and creativity to your spaces. A common option is to create custom walls or an accent wall by using bold patterns or three-dimensional patterns on one wall with paint or paneling on the others. There are several home remodeling options to choose from that can bring some excitement into your living spaces. Merge colors and patterns with textures to create depth in each room. Today’s wallpaper isn’t like the old-school wallpaper that covered all four walls and was hard to remove if you ever wanted a change. Today’s wallpaper designs are often larger prints and can be used in concert with paint and other wall treatments to create a “wow” factor. Many wallpapers are paintable, so we can customize them to your color choices for the rest of the room. Visually, fabric panels can create a dramatic presence. They can be a series of panels with a design for a mural-type effect, or they can have a more upholstered look. Use them to create or reinforce a theme and to add texture to an otherwise blank wall covering a select a portion or the entire wall. Mount fabric panels on the wall to cover audio speakers or camouflage wall safes or other hidden features on a wall to create visual and acoustic functionality in any room. Use panels of nearly any type of fabric, from cotton to canvas to suede, to serve as a sound barrier in entertainment rooms, the baby’s nursery or a workout room. Use wood paneling or wainscoting to blend or contrast with other room furnishings. Wood paneling or beadboard, with materials ranging from pine to cedar to oak, can be stained or painted to provide a more traditional look and can easily be refinished when you’re ready for a change. Depending on the finish and wood species, wood paneling can also create a rustic look or a more luxurious environment. For environmentally-conscious homeowners, reclaimed wood paneling is a green option for a custom remodeling project. Gypsum board and drywall have evolved into more sophisticated wall treatments than a simple flat surface that is covered in paint. Drywall can be textured, reinforced with fiberglass, or mudded and sanded. It can also be painted and stand alone or serve as a base underneath other forms of wall treatments. 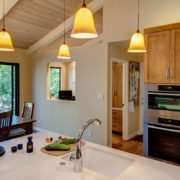 Wireless controls for lighting and home automation are gaining popularity in home remodeling features. Once you’ve used a remote to turn down the lights or turn up the volume on your sound system, you’ll probably be hooked. Wireless functions go far beyond the convenience of making adjustments without getting up out of your chair, however. Consider the different lighting and electrically powered items you use each day. Most of them can probably be added to an automated system to reduce inconvenience and the repetition of turning them on and off. Some of these features can be incorporated into a home security system, while others are operated by separate controls. The number of wireless automated devices available on the market is constantly evolving. Your system can be set up to accommodate newer products and models as they become available. When choosing which items you want to have control with a wireless timer, think in terms of indoor and outdoor lighting, thermostats, pools, hot tubs, warm floors, security cameras and home surveillance. Use remote control devices from inside or outside the house to turn on specific lights and small appliances. You can also add motion detector alarms to items like cabinets with cleaning supplies or medicine cabinets to help keep kids and toddlers safe. Room-to-room intercom systems are another convenience feature that adds peace of mind for parents or convenience for those with spacious homes. Trigger automation is another option; turn on certain lights when the garage door activates or turn on the deck lights when the sliding door opens. Wireless devices typically work on a radio frequency (RF). There are three main types of wireless control, Z-Wave, Insteon and X-10. They can be combined with wired automation or stand alone with wireless capabilities, depending on which system you choose to use. Controllers for automated systems come in the form of remote controls, wall switches and tabletop panels. Some wireless speakers and home entertainment systems require hard wiring to create a signal that can be used by wireless remote control devices. Dimmer switches powered by remote can raise and lower lighting and sound for everything from kitchen lights to home entertainment. When planning your home remodeling project, do a room-by-room survey with your design-build contractor to cover all of your potential needs. If you’re aiming for greener energy usage, use automatic timers for scheduling the thermostat, towel and floor warmers, and outdoor lighting. Motion sensors can also trigger lights and fans to turn on and off when someone enters or exits the room. The choices in home automation and wireless controls are practically endless. If you’re not sure which systems you want to control or what the most effective RF or wired signals are for your lifestyle, discuss it with a Bay Area design-build contractor. 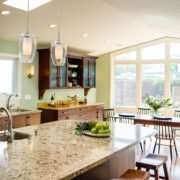 We understand the stress related to the thousands of decisions a homeowner faces when it comes to undertaking a remodel. With such a permanent and lasting decision like windows and doors, your first intuition should be to trust a professional. It is important to know what you are hoping to accomplish with the purchase of windows and doors so they can best direct you to the appropriate brand and style. Windows: How do you want them to operate? Will they slide or swing open? Let’s start with sliding windows. You will need to decide if they are to slide horizontally or vertically. Once that decision is made a great number of questions will be asked to point you in the right direction. What if they are to swing open? Do you want them to roll open, push open, or pull open? Are there any walkways, shrubbery, or furniture to consider that may affect your decision? Doors: Will they slide or swing? If sliding, do you want them to be French (wide stiles and rails) or Patio (narrow stiles and rails) style frames? If swinging, do you want Inswing or Outswing? Also, think about the obstructions as you would with windows and if they swing out, how will you keep the doors open if a wind kicks up or if there are lighting sconces on the wall? 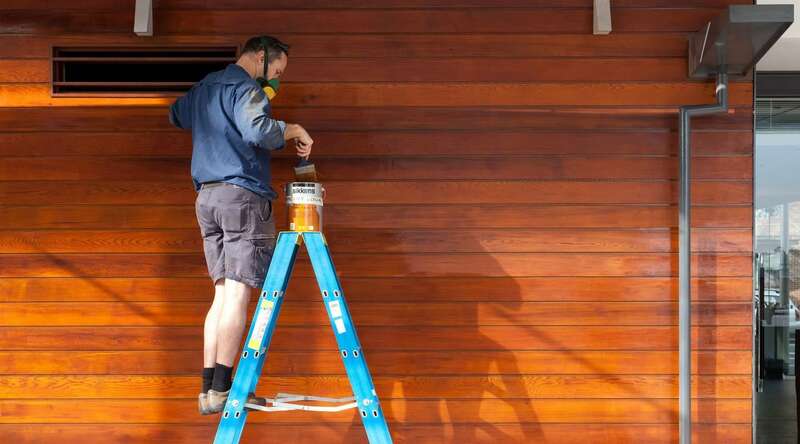 If you don’t mind painting or staining on a regular basis there are windows and doors made completely of wood. However, there are low-maintenance wood windows and doors with exterior frames clad in aluminum or vinyl. This gives you the traditional warm look of wood on the interior yet protects the exterior wood from damage by the natural elements. (You just have to clean them once in a while.) There are also windows and doors made with aluminum, vinyl, or fiberglass framing, each with their own special aesthetic and feel. There are also different types of glass, grids (mullions), hardware and screen styles, each varying by brand and each offering an array of energy efficiency. Stroll through your neighborhood or thumb through magazines to get an idea of what you would like to see in your home. Then take the time to visit showrooms in your area in order to see the differences up close. Consumer Reports can help you compare brands. The right purchase not only enhances the warmth and beauty of your home, it will also help create energy savings for you and our planet.